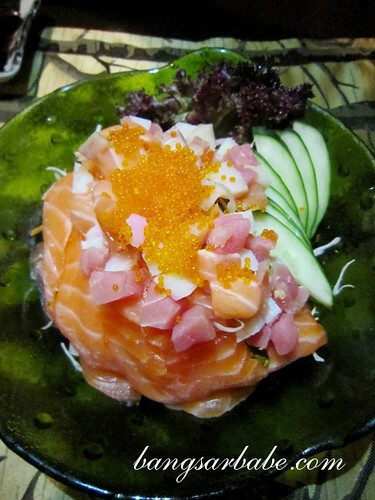 During my weekend stay at Holiday Inn Glenmarie Kuala Lumpur, I also dined at Fu-Rin Japanese Restaurant, twice. Once for the ala carte dinner and buffet dinner the following day. 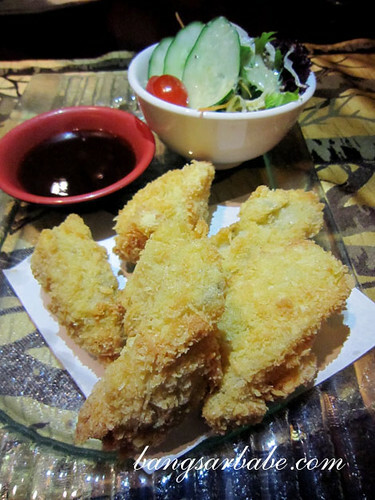 I’ve dined at Fu-Rin a few times prior to this, so I knew the food was going to good. 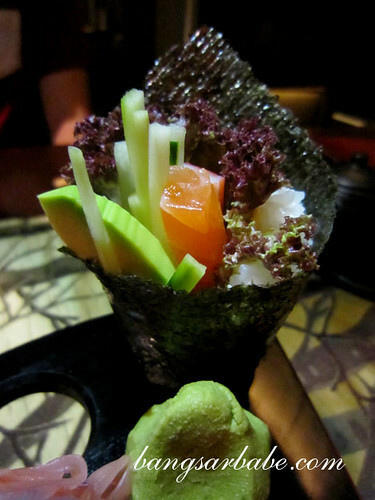 To start, we had the California Maki (RM16), a classic handroll with crabstick, salmon, cucumber, fish roe and mayonnaise. It was good, because they didn’t stinge on the ingredients. Kaisen Sarada (RM30) was highly recommended by the manager, and rightly so. If all salads taste like this, I would choose salad over meat when I eat out. Ok maybe not. But I would order this salad to go with my meat dish. 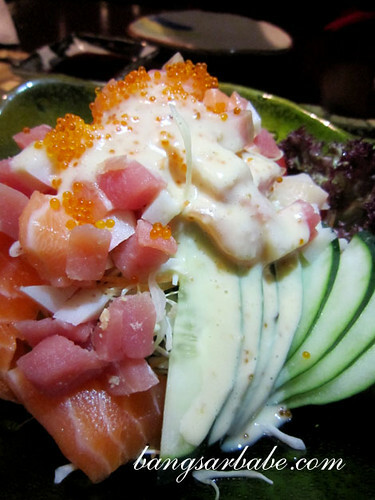 The sesame dressing was creamy yet light, while the seafood comprising sashimi and crab was fresh, sweet and delicious. We loved the Sashimi Moriawase (RM205). They get their fishes and seafood in every Friday and Tuesday, and lucky us for dining there on Friday. 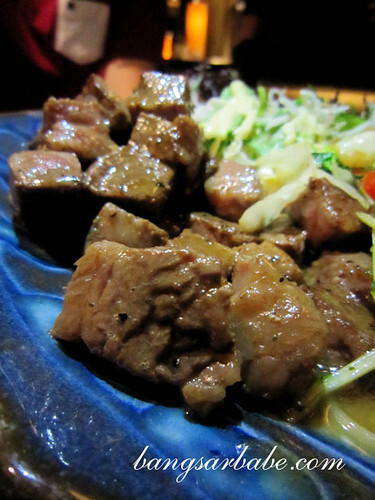 The tuna belly (chutoro) was thickly cut and tender with a buttery finish. I especially enjoyed the scallops and salmon. 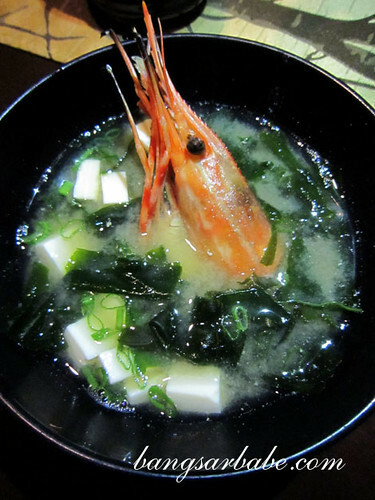 Even the prawns were sweet and the head was then used to sweeten my miso soup. I didn’t care much for the Tofu Steaki (RM26) – beancurd with mixed mushrooms on hot plate. rif ordered this because he liked the sound of ‘to-fu steak-i’. 🙄 Fu-Rin’s garlic fried rice (RM12) was one of the best I’ve tasted. 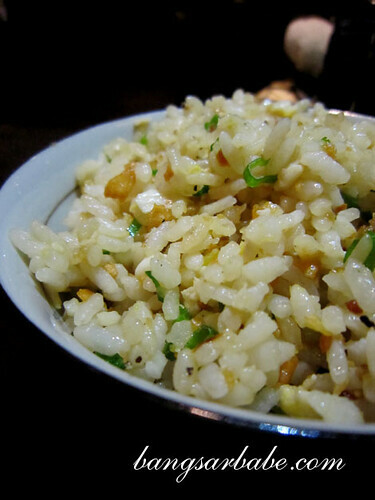 The rice grains were separated, fluffy and full of garlicky goodness. We also had the Wagyu Teppanyaki, cooked medium rare. Lovely! The meat was well seared and cooked to juicy perfection. If you love oysters, order the Kaki Furai (RM45) at Fu-Rin. They do it best so far. So moreish. Good thing rif isn’t a fan of this, for it pains me to have to part with more than a piece. Dessert was simply wasabi and green tea ice cream with mocha. 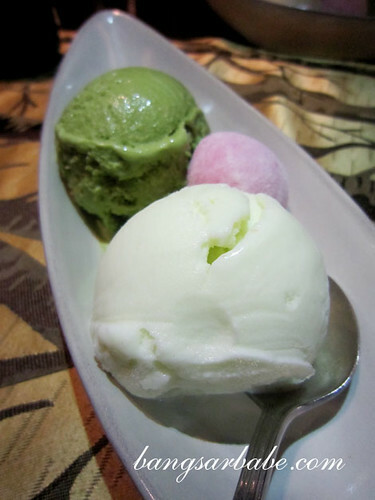 The green tea ice cream was good as usual, but it was the wasabi ice cream that won me over. It was hardly pungent. The wasabi flavour was only apparent towards the end of the tongue. I must have this again. 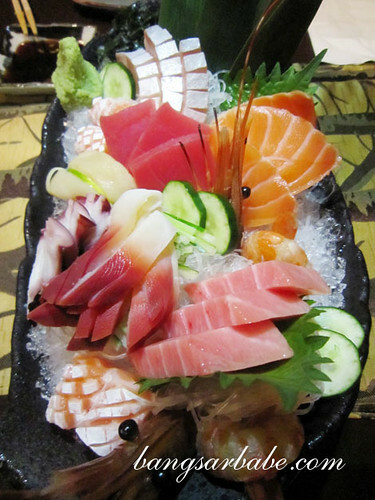 Verdict: If you love sashimi, make sure you head over on Friday or Tuesday. Or for a satisfying feast, check out Fu-Rin’s weekend buffet lunch and dinner. Nice to see fresh and colorful Japanese food, but it would break a bank! The buffet is affordable. 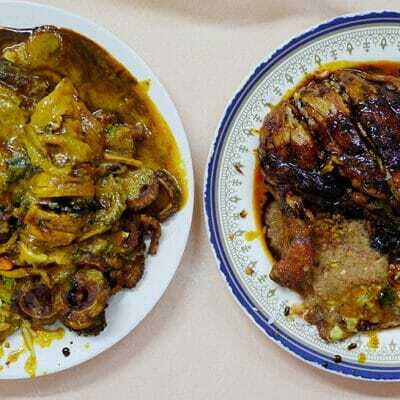 Dinner is about RM80 or slightly over, while the lunch buffet is RM63. I too got attracted to the Sashimi Moriawase. So gorgeous..